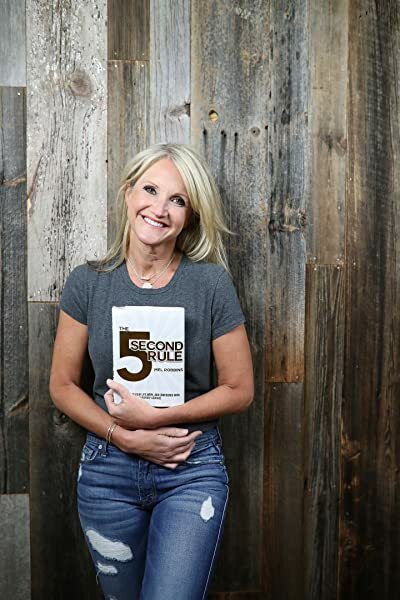 Using the science of habits, riveting stories and surprising facts from some of the most famous moments in history, art and business, Mel Robbins will explain the power of a 'push moment.' Then, she’ll give you one simple tool you can use to become your greatest self. Now that she’s no longer arguing "reasonable doubt" inside the courtroom, she's teaching leaders inside the world’s leading brands how to break the habit of self-doubt and build the habits of confidence and courage at work and in life. Mel is a Dartmouth College and Boston College Law School graduate. She and her husband of 18 years have three young kids. She lives in the Boston area, but remains a Midwesterner at heart. 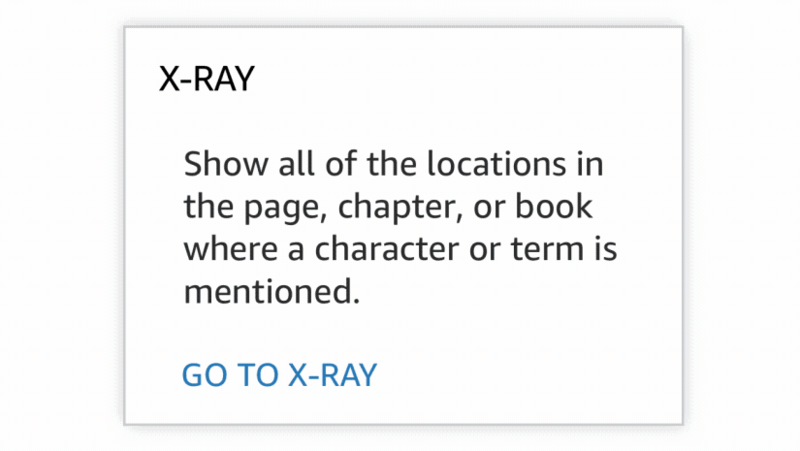 Start reading The 5 Second Rule on your Kindle in under a minute. 5.0 out of 5 starsMore alive with the five. 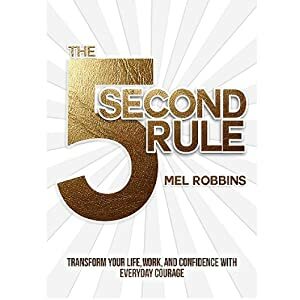 I purchased "The 5 Second" book during a Lewis Howes YouTube video interview with Mel Robbins. Viewing inspiring videos first thing in the morning had become part of my morning ritual. So had watching past my allotted time for it. The 5 - has been a game changer - especially when getting moving is important. We lost our only child just before her 15th birthday to suicide. I found her, administered CPR and an ordeal with a coma ensued. The aftermath is a journey through grief leaving me with many issues. The simple became difficult and PTSD is what the doctors said I was experiencing. The 5 Second rule has helped me stay on tasks, get going in the morning, find my mind when it feels gone, and focus on my business. Best of all - happiness and hope are a big part of my life AGAIN! The 5 has helped me feel alive when I needed it. I am so torn. I love the #5SecondRule. 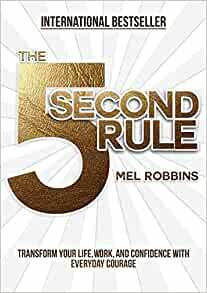 Mel Robbins is a rock star. I love her TED Talk, and other interviews I've seen her on. 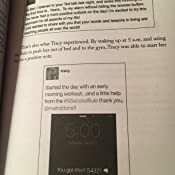 The book is filled with solid, actionable information that I am putting into action in my own life with awesome success. 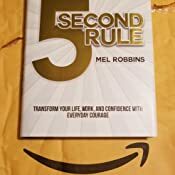 Kudos Mel Robbins! For that I'd give it 5 stars, no doubt. The constant stream of "social proof" via the social media posts broke the flow of the text, and constantly took me out of the experience. One at the end of each chapter to bring home how to integrate the information into the reader's life? Sure. But one almost every page, and sometimes twice? C'mon! The format was simply too long for the amount of actionable information given, and the social proof stuff felt like fillers to justify the length of the book. Another reviewer wrote that the actual information given could've easily fit into a blog post, and I think they're correct. For that I'd give it 3 stars. For the love of humanity, somebody - preferably a PROFESSIONAL editor - please, please, PLEASE edit this freaking book! I have a rule that once I start a book, I finish it, but the editorial mistakes were so pervasive that it was almost unreadable. (And I'm not talking about the "UR" or other grammatical errors on the social media posts either!) It got so bad that it actually started to piss me off. So much so that I actually took note of the publisher, and will avoid books from them in the future because of the epic editorial fail. If Ms. Robbins paid for an editor, she got ripped off. I was so grateful to reach the last page because it meant I was through with the book, but I don't think any author wants people to close their book in relief to be done with it. For that, I'd give it -0 stars if that were possible, and demand that the publisher's slew of proofreaders/editors give her her money back. The publisher did her an enormous disservice. Shame on them! I've actually given this book as a gift to several people I know who will get a lot of it, but it comes with the caveat that the editing is sub par, for sure. This is not an actual book. 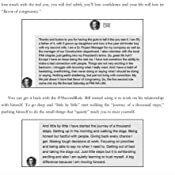 This is more of a scrapbook, loaded with screenshots of Facebooks posts (and each one of them has a transcription!). The free TED talk on YouTube will do it just fine. Don't waste your money (and time). 1.0 out of 5 starsDon't buy the book, view TED Talk instead. Save your money. This book was little more than "Here's the rule now look at 100+ pages of social media screenshot testimonials." Her advice is sound but I expected more from the book and find her ancillary materials have more substance. I'm not a fan of the rule itself...in the morning I can count backwards til noon and I'm still not going to get up. I'm also not a fan of testimonials spread throughout the book. I think the testimonials take away from your focused reading. I believe the enormity of them could cast doubt to the credibility of her words if the book has to be so liberally peppered with testimonials. I would encourage her not to continue that trend in future books. Why the 5 stars then? Robbins gave interesting insights on how the mind and heart works, incorporating areas on hesitation, instincts, goal related impulses, focus, and I think most importantly on feelings. I came away from the book with good information to fend off some of my own personal demons and felt better for having read the book. I consider that a win. 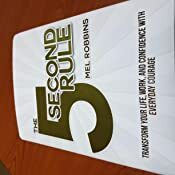 I purchased the Kindle version and I would recommend it...perhaps not for the 5 Second Rule itself, but for the much greater insights on why we do what we do and how we can be stronger against the drama we create in ourselves that prevents us from moving forward. Let me preface by saying that I am a Mel fan! I have heard her Ted Talks and have heard several Podcasts that she has been on. I also read her column on Success magazine. But this book is very disappointing due to the sole reason that the 5-second rule can easily be explained in a well-written blog post. There is some merit to the 'rule' and it can help us all get off our behinds and get things done but one can learn about it from the Ted Talk. Save yourself the money and time it takes to get and read this. Also, the book is filled with fillers! If I wanted to read social media posts about how the rule has been beneficial to followers, I can go to the authors Facebook page, I don't need to see that in the book. It's filled with fillers because there is only so much you can say about counting backwards to 5. I highly advise everyone to see her Ted Talk as I think you will get a lot out of it. But this book was disappointing. The only positive point is that you can finish it in one afternoon. 1.0 out of 5 starsRepeats itself page after page. Definitely one of the worst books I have read by far, author just seems to repeat herself page after page. It had really great reviews, so I had really high expectations. I suggest going to a bookstore and read a preview of it, a few chapters and see if it's worth your time and money.